Therapeutic Touch in the UK is currently taught by Karen Eastham and Annie Hallett who both come from an extensive healthcare and complementary background of therapeutic practice. The St Francis Essences are a range of natural vibrational essences made from the wild flowers and plants in the Pendle countryside in the heart of Lancashire. The Courses are suitable for anyone with an interest in developing an understanding of 'Healing' and who has a compassionate intention to help others. Nurses, Doctors & Associated Health Care Professionals and Assistants. 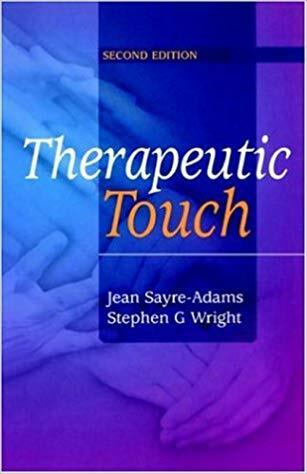 Therapeutic Touch (TT) is a modern interpretation of the ancient art of Healing and has the potential of creating a bridge between ancient traditions and contemporary thinking. Healing is a natural phenomenon with its roots in antiquity. Many have tried to define its nature, but Therapeutic Touch, although suggesting a theoretical basis grounded in modern science, offers a frame of reference which allows for the essential mystery of Healing to remain intact, and its organic nature to be experienced within a contemporary framework. Although originally developed by a Professor of Nursing, Dolores Krieger, and researched within healthcare, TT can be practiced by anyone who has a true intent to help others. Therapeutic Touch involves a variety of specific processes intended to help and heal. It is more than the comforting touch of patients; it is a set of interactions that all healthcare practitioners can incorporate into their everyday practice, and which can be as rewarding to the practitioner as they are healing for the client. Tales of Healing With Therapeutic Touch. Although its roots are in ancient ideas about healing, Therapeutic Touch is a relatively young practice. Its intention as a therapy is to promote healing and to reduce pain and anxiety. 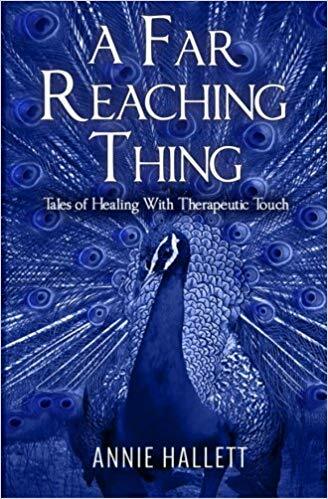 As the author relates her experiences as a Therapeutic Touch practitioner working alongside medical professionals in hospitals and hospices, and delves into much of the history and many of the theories behind its use as a complementary therapy, its benefits as a practice become evident.